A few months ago I reviewed Mantra Mask sheet masks. I told you that I LOVE sheet masks. The reasons being because they are a) easy to use, b) combine a large amount of serum in a small mask and c) that serum sinks into your skin in just a few minutes. 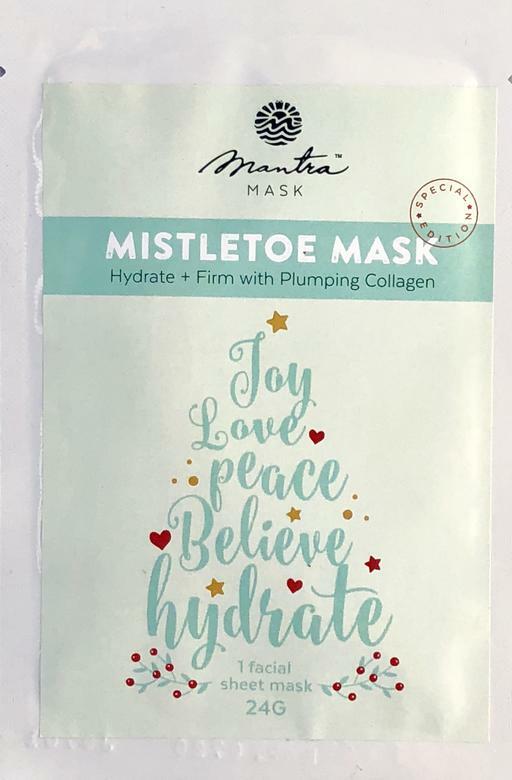 For the holidays Mantra Mask released two new Masks that definitely help the skin de-stress, hydrate, rejuvenate tired skin and firm skin with peptides. There are two new masks they have released just for the holidays. One is called the Mistletoe Mask and the other is Glow On The Go. 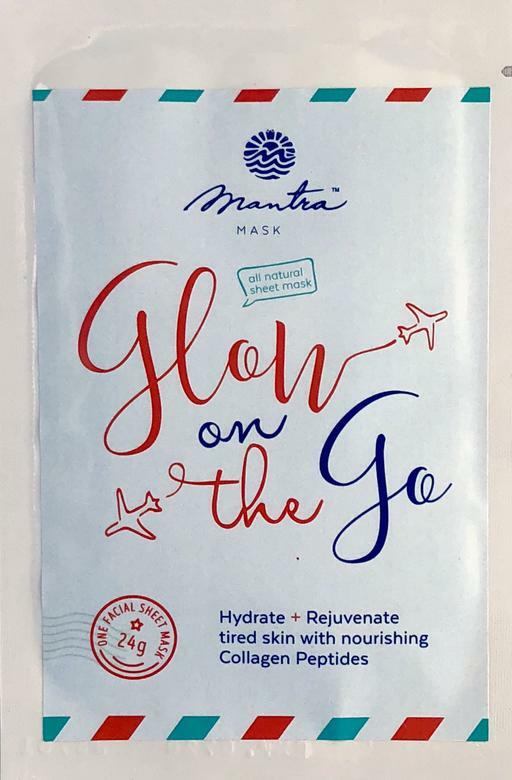 The Glow On The Go Mask is a Hydrating and Rejuvenating Sheet Mask that contains plant based nourishing collagen peptides to help plump the skin and organic aloe to firm the skin and reduce the appearance of fine lines + wrinkles. So restore and rejuvenate your skin before you land at your next destination. Yes, this is perfect to use on a plane. It was designed for travel and what recycled air does to the skin. Do not forget to pack this with your carry on bag! To use: Gently unfold the mask and place cloth side on clean, dry face. Remove foil backing and position openings for mouth, eyes and nose. Relax, reflect and recharge for 15 to 30 minutes. Massage excess serum into neck and décolletage. Do not rinse after use. Remove mask from face and discard. For best results use twice weekly or as often as needed. The Mistletoe Mask is rich is collagen peptides and hydrating organic aloe vera. Stay calm and be bright, treat yourself to this nourishing facial sheet mask before your next holiday gathering (hey, you might find yourself under the mistletoe!). To use: Gently unfold the mask and place cloth side on clean, dry face. Remove foil backing and position openings for mouth, eyes and nose. Relax, reflect and recharge for 15 to 30 minutes. Massage excess serum into neck and décolletage. Do not rinse after use. Remove mask from face and discard. For best results use twice weekly or as often as needed. 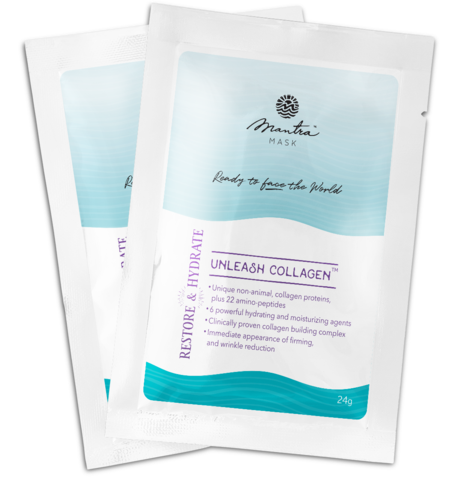 The Unleash Collagen Mask contains unique non-animal collagen proteins, plus 22 amino-peptides. It also contains 6 powerful hydrating and moisturizing agents. Use this mask to hydrate, lift, firm, and rejuvenate the skin. It has been clinically proven to firm and tighten skin, improve elasticity and reduce the appearance of wrinkles. Just 1 use will begin to hydrate skin, build collagen, while at the same time calming and soothing inflammation and/or irritation. Ongoing use will provide longer lasting results. This mask richy moisturizes without oils and calms/repairs troubled skin. It plumps and firms the face to immediately reduce wrinkles. Frequent use of at least 2x a week will promote a healthy, youthful appearance which improves with time. To use: Gently unfold the mask and place cloth side on clean, dry face. Remove foil backing and position openings for mouth, eyes and nose. Relax, reflect and recharge for 15 to 30 minutes. Massage excess serum into neck and décolletage. Do not rinse after use. Remove mask from face and discard. For best results use twice weekly or as often as needed. Mantra Masks are available from www.mantramask.com. 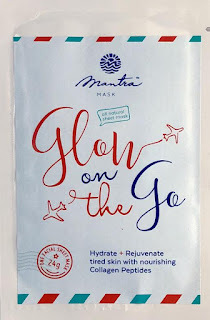 Like Mantra Mask on Facebook:https://www.facebook.com/mantramask; Follow Mantra Mask on Pinterest: http://pinterest.com/mantramask and Follow Mantra Mask on Instagram:https://www.instagram.com/mantramask/.